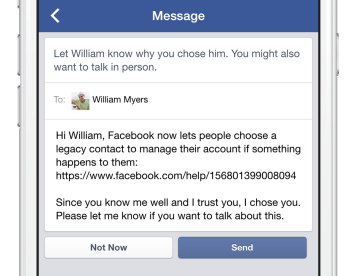 Facebook legacy contact: Who manages account when you die? Facebook’s new “legacy contact” feature lets you choose a loved one to manage your account when you’re gone. Death has always presented a delicate problem for Facebook and other social networks. In theory, the deceased’s timeline is the perfect virtual venue for far-flung friends and family to commiserate and share their memories. But people don’t always leave their Facebook pages in a condition that they—or their loved ones—would want to see preserved for all posterity. Those particular features were among those most requested by Facebook users who gave the company feedback on its memorial-page policies, said Vanessa Callison-Burch, a Facebook product manager, in an interview Wednesday ahead of the announcement. “For example, there was a mom who reached out to us and said her daughter passed away, and there were two cousins who weren’t yet connected to her on Facebook” and so were unable to view her page, even as other friends and family members were posting remembrances there. In another instance, Callison-Burch said, family members asked to be able to change the profile photo of a dead relative who had recently changed her profile photo to a picture of a fish, perhaps as a playful joke. Under Facebook’s old policies, the fish would have remained her profile photo forever. You can now choose to have your account deleted when you die. Facebook users will also have the option to allow their legacy contact to download an archive of the photos, posts, and profile information they had shared on the site. The contact will not, however, be able to view or download the deceased’s messages. Facebook told me it regards that information as private even after a user has passed away. 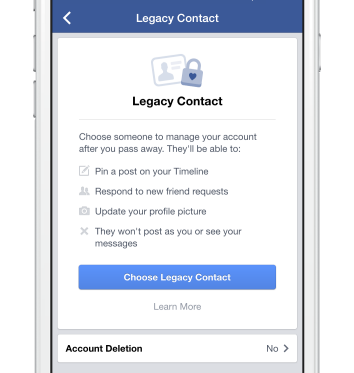 Legacy contacts also won’t have the power to edit or delete posts that the deceased has shared in the past, or posts that others have shared on his or her timeline. “That was a decision we thought through a lot,” Callison-Burch told me. “For this version, we’re not giving [legacy contacts] the ability to curate past content.” But, she added, the company will continue to think through the best way to handle dead people’s accounts and might revisit what features are available to legacy contacts in the future. Designating a legacy contact, then, won’t save your Facebook memorial page from the embarrassing photos you’ve posted there over the years. Unless you choose to have your account deleted, those posts will remain visible to the people with whom you originally shared them. But the option to change the cover photo and profile picture and pin a new post to the top of your timeline will at least push any unfortunate content further down the page, where your survivors can avoid seeing it if they want to. You also have the option to send your “legacy contact” a message. Facebook will also add the word “Remembering” above dead users’ names on their timeline, which will help to distinguish memorial pages from the Facebook pages of the living. Update, Feb. 12, 2015: Facebook’s “legacy contacts” feature is available only in the United States for now. The company says it will expand it to other countries in the future. 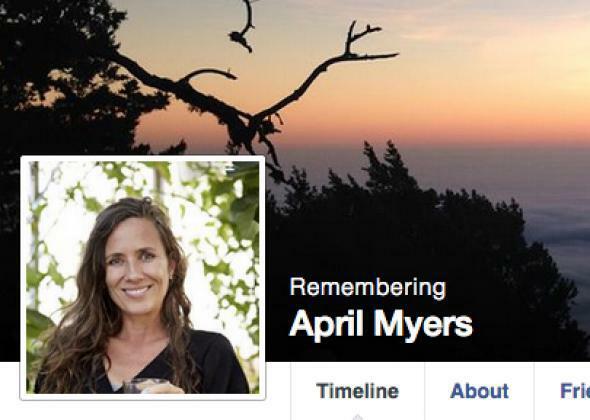 When a Parent Dies, What Do You Do With Their Facebook Account?